Traditional leaders disturbed by increase in initiate deaths - SABC News - Breaking news, special reports, world, business, sport coverage of all South African current events. Africa's news leader. Nine lives have been lost since the beginning of the summer initiation season. The Eastern Cape House of Traditional Leaders says it’s disturbed by the rising number of deaths among initiates. Nine lives have been lost since the beginning of the summer initiation season. In the latest incident an 18-year-old initiate died after his hut caught fire. 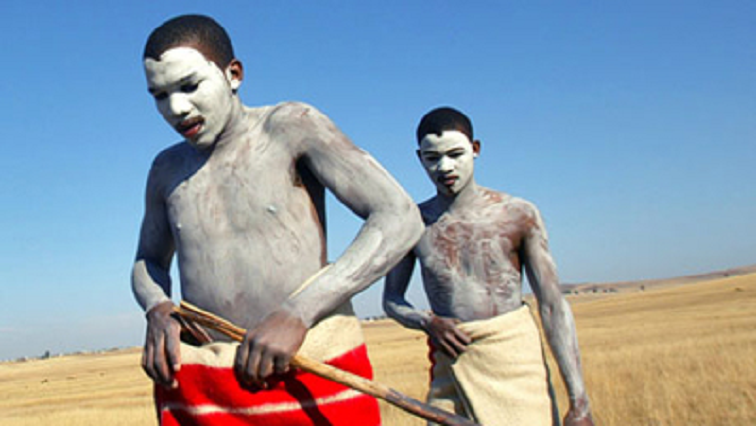 Other deaths were caused by botched circumcisions in some parts of the province. Traditional leaders want these cases to be investigated. Chairperson of the provincial House of Traditional Leaders, Mwelo Nonkonyane, says, “We have no doubt that there is a need that we need to roll our sleeves and work together to make sure that this death is the thing of the past. We are determined as the House of Traditional Leaders and our Provincial Government to make sure that this is not going to happen again. Hence, we convey our sincere condolences to the bereaved families and want to assure our people that we are not going to leave any stone unturned to prosecute those that are involved in this matter,” says Nonkonyane. This entry was posted on 06 Dec 2018,02:15PM at 2:15 PM and is filed under Lifestyle, News, Homepage Latest Stories Slider. You can follow any responses to this entry through the RSS 2.0 feed. Both comments and pings are currently closed.